Adjusting your thermostat while on vacation is one way to reduce your energy use when you are not at home. But how much should you adjust it? Should you turn the furnace off completely? How long will you be gone? What does your insurance company require? These and many more questions are areas that consumers should consider when they go away on vacation during winter months. We will try to answer these questions by providing some general guidelines related to heating your home in the winter time. Consumers should always consider adjusting the thermostat downwards when they go away on vacation. Never turn your furnace off and never lower the temperature so far that there is danger of freezing water pipes. Frozen water pipes can crack the pipes causing a great deal of water damage when the pipes eventually thaw. Many websites and experts suggest that a temperature of no lower than 50F or 10 C for your home. Note that if you have a basement, the temperature will actually be a few degrees lower in the basement. Water pipes close to walls and windows in the basement could actually freeze when there is extreme cold outside. Check your basement temperature differential from your thermostat setting. If your setting is 50F and your basement is 45F, you may want to adjust the temperature setting on your thermostat. Adjust it upwards to ensure that the basement never goes below 50F. Consumers should also check with their insurance company. Verify the guidelines they required to enable your home to remain insured. They may want the main water valve turned off. They may want someone to check on your homes heating system everyday. No one wants a huge water damage repair and find out there is no coverage because they did not follow thier insurance companies guidelines. We wondered, do gutter guards really work and what are the cash savings if any from installing these guards? The principal is that water running down your roof carrying debris will be separated by the gutter guard. The water going into the eaves trough will be carried into the downspout. Debris will be washed over the edge and down onto the ground. 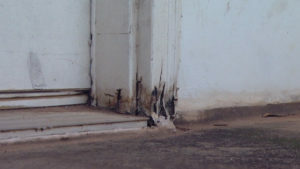 Without a guard, annual cleaning is needed to avoid situations like the one shown in the picture. The gutters quickly fill up if you have trees nearby. 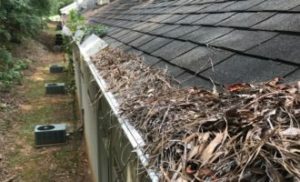 If you do not clean the gutters, dampness remains in the gutter causing mold and can cause the roof to become spongy and rotten under the shingles. 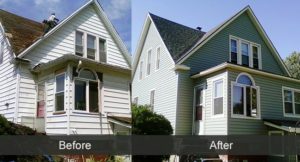 Gutter cleaning could cost from $100 to $200 or even more depending on how many feet of gutter you have. With lots of trees you may have to have them cleaned twice a year. Over 10 years, that’s $2000 assuming that you hire someone to do the work for you. There are several different types of gutter guards. in situations with heavy rain, most will cause the water coming off the roof to just wash over the gutter and onto the ground. If you do not have heavy rains very often, this may not be an issue for you. 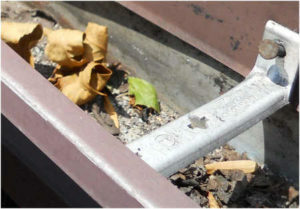 Depending on the gutter guard you choose, there still may be a need to clean debris off of the guards and on one case to remove seeds that can embed themselves and sprout. Here are the different types of guards and specific issues you should consider for each in addition to those mentioned above. Reverse Curve Guards – These are typically made from metal or vinyl and sit over the gutter opening. They essentially form a cover that allows water to slip around the guard but prevents large debris from coming to rest in the gutter. High volumes of water will simply overshoot the gutter and fall to the ground below. 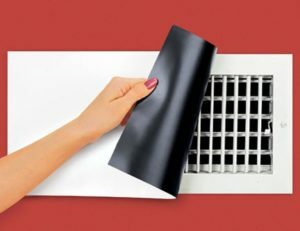 Sponge Guards – This approach places a sponge that is shaped to conform to the inside of your gutter. Water flows through and since the mass of the sponge fills the gutter space, large debris cannot accumulate. The real downside is that small debris particularly seeds can can get caught in the sponge and sprout. They all come at a price, some more expensive than others and some are easier or difficult to install. Based on the concerns expressed for each it is obvious that some level of maintenance will still be required. Before you invest in gutter guards, compare the cost of installation including materials. Consider annual maintenance from time to time. 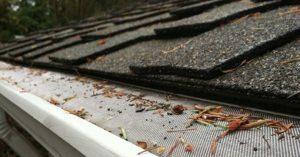 Compare with the cost of just having your gutters cleaned out once or twice a year. If you are ok with climbing ladders, factor the do it yourself cost as part of the comparison. As a homeowner I’ve always wondered should you install gutter guards in my eaves trough? I have always cleaned out the eaves trough at least once a year and sometimes twice a year. They’re always seem to be an accumulation of leaves, keys from the maple tree in front of our house and other debris that lands on your roof and is washed into the eaves trough. When I was younger , it was no problem to get up on the ladder and clean out the stuff. Now that I’m getting older and inclined to climb less I’m wondering if I should invest in a gutter guard for the eaves trough or pay someone to clean it out? It will probably cost between $50 and $100 each time I have someone come over and clean out our eaves trough. If I do it twice a year that will be $200 a year. Over 10 years that’s $2000 that I will spend paying someone to clean out my eaves trough not taking into account any inflation. I have about 50 feet of eaves trough that would need gutter guard installed. At $20 per foot, that’s about $1000 in total for the cost of the materials. I probably could install it myself at this point. But many people are unable or just do not want to get up on a ladder to install something like a gutter guard in the eaves trough. Installation of the eaves trough would probably take a couple hours. Conservatively it would cost roughly $200 to install for a total cost of $1200 compared to paying $2000 over 10 years. The gutter guard seems to be a clear winner, however there are other points to consider. Not all gutter guards are made the same way. 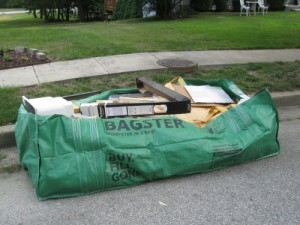 If they’re not installed properly debris will still build up on top of the gutter guards. The gutter guard must be aligned with the slope of the roof. Rain water must wash any debris off of the gutter guard. There will be some overflow onto your garden, driveway or whatever’s underneath your roof. Some water will not drain through the gutter guard and will simply flow over the gutter guard. This will happen in severe and heavy rain storms. Since we just had our tree removed, I have decided not to install the gutter guard. I probably will get them cleaned once a year. Which will cut my costs in half and make it much cheaper than having gutter guards installed and risking that I will still have to have debris removed from them. Each consumer should evaluate their own situation, understand the costs involved in your location. Make your own decision using these kinds of guidelines and thought process that I went through for myself. 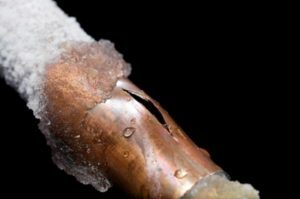 The recent cold weather vortex that has descended on Canada and the United States has caused many home owners to deal with frozen pipes. Once a pipe freezes, there is no water for even basic necessities. Especially if it is the pipe near the entry point to your home. If you are lucky the pipe will thaw at some point. The water will flow once again without any leaks. At the very worst you have a serious water leak. If the water is not shut off immediately, it will cause major flooding and damage in your home. Home owners can take precautions to avoid frozen water pipes. Once you have a frozen water pipe, the question remains about how to thaw out frozen water pipes. Whatever you do, do not use a blow torch. There is tremendous danger in starting a fire which can quickly get out of control and actually burn your house down. Every year there are stories in the news of someone doing just that. You home owner’s insurance may not cover this kind of catastrophe which would be huge. Avoiding a frozen pipe in the first place is obviously the way to go, however we will cover that later in this post. First if your pipes are frozen, i.e. there is no water flowing you need to take action immediately. If you can quickly identify the area where the pipes are frozen, turn up the heat in the area immediately to thaw out frozen water pipes. Install a portable heater in the area as well. It may take a few hours, but the pipes will eventually thaw. If there is a specific area and you can get to it, sometimes a hair blower will help to thaw the pipe. Check for any obvious areas like the one in the picture. 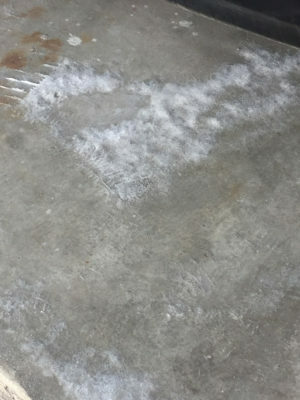 A leak like this one can quickly cause a great deal of water damage. 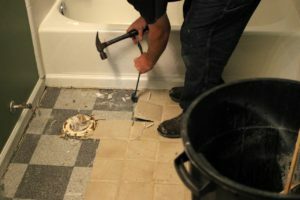 In addition to warming up the room, shut the main water pipes off and then cut out the area and repair it. You may need to call a plumber to make these repairs. 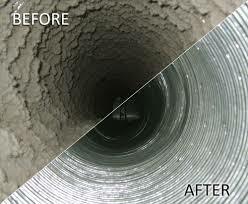 It is much more difficult to thaw out frozen water pipes inside walls are much more difficult. Any pipe that is on an outside wall is a candidate for being frozen in very cold weather. With insufficient insulation and a cold interior room these pipes can quickly freeze and crack the pipe. Look for signs of water damage and then open up the wall where the pipes are. You will have to repair drywall etc. however finding the leak is of paramount importance. Keep the rooms that have water pipes in outside walls warm to help thaw the pipes. Again a plumber may be needed to make repairs. Check with your home insurance company to find out what coverage you may be eligible for. If a cold snap is imminent and your concerned about pipes freezing, turn up the heat. Focus on those rooms with water pipes on outside walls. You will spend more energy heating the rooms, but this is minimal compared to dealing with the damage from leaking water pipes etc. 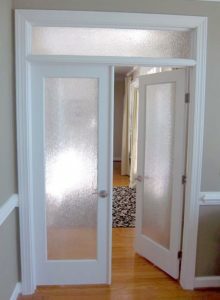 Anytime a wall is opened up either move the water pipe to an inside wall or make sure that it is adequately insulated for the most extreme temperatures you will experience in your area. 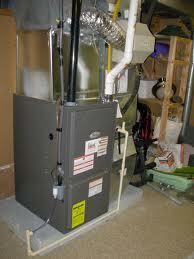 Keep your furnace running to keep these rooms warm. Many frozen water pipe situations occur when furnaces fail or the electricity is out for an extended period. If your going to be away from your home for more than a few days, shut the main water valve off to avoid any water leaks while you are not there. Have someone check your home every few days to make sure the furnace is running and your home is heated. They should also know what action you would want the to take if there is no heat in your home. i.e. call a furnace repairman, plumber etc. For other seasonal related topics, click here. 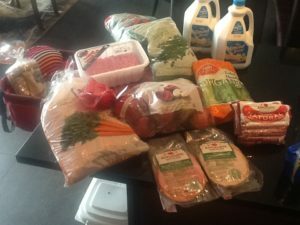 Should you pay the membership at one of the wholesale price club like Costco, Sams club or BJ’s? It really depends on your shopping habits, how much you will purchase and whether you can find better prices elsewhere. Consumers who have time to do some comparison shopping will often find better prices for various items at other stores when they are on sale or on special. Buying those items at other stores will save you money. The return policies at price clubs is extraordinary. Service is top notch and prices on average are very competitive. But should you join wholesale price clubs to save money? If you can answer yes to many of these questions, then belonging to one of the wholesale price club might be the right answer for you.